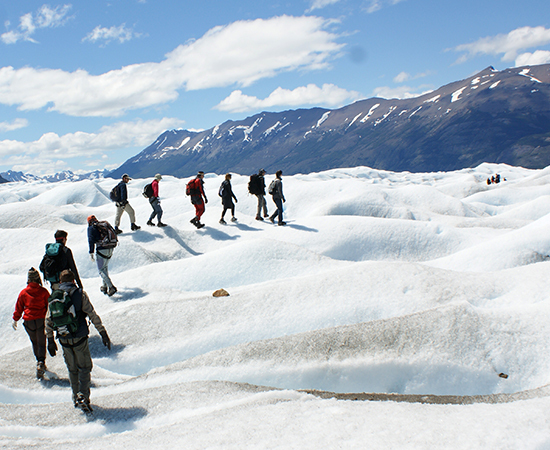 - El Calafate Airport Arrival – Meeting point with an INFOBA DMC Argentina guide. 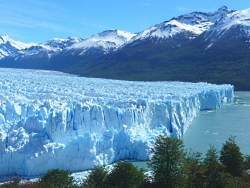 - Perito Moreno Glacier full day activity Departing from El Calafate you travel 80 Km by bus and you will arrive to the balconies, where you can enjoy different panoramic views of the Perito Moreno Glacier, into the Los Glaciares National Park , for about 4 hours. If you want to have lunch, you can visit the restaurant 1 Km far away from the balconies, or the snack bar next to the balconies, or you can take your own food and enjoy it admiring the landscape. 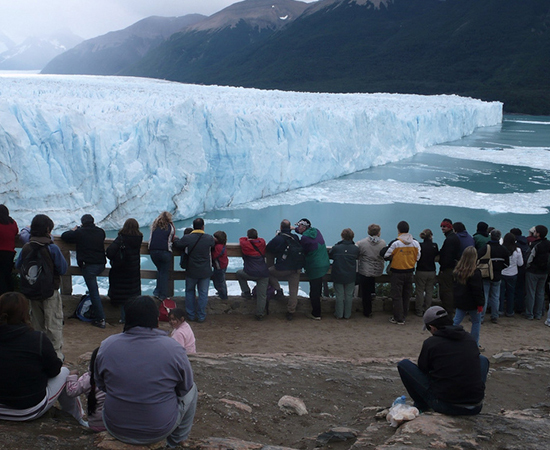 The excursion begins in the embarking pier located in “Bajo de las Sombras” port, about 6 km before the glacier Balconies- where you embark for a 20 minutes navigation across the Rico Arm, enjoying breathtaking views of the Perito Moreno glacier’s front wall. - Optional activities: Navegation "River of ice"
The The schedule of shipment in the port of Punta Bandera Private (47 kilometers from the city of El Calafate), will be at 08:30 am and the game will be at 09:00 am, after the passengers are informed the safety and seaworthiness. 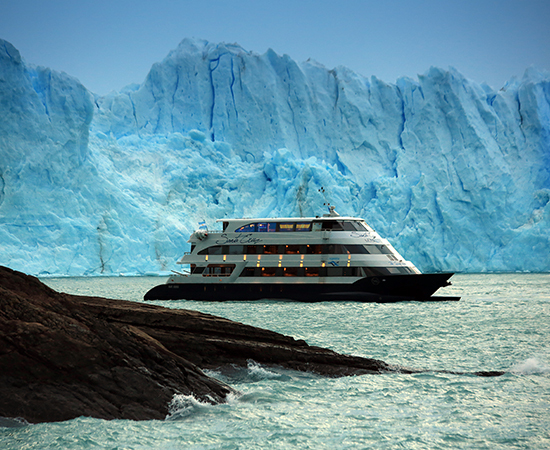 Once on board sail across the North Arm of Lake Argentino to reach the Channel Upsala, where we will find a spectacular Barrier Icebergs. 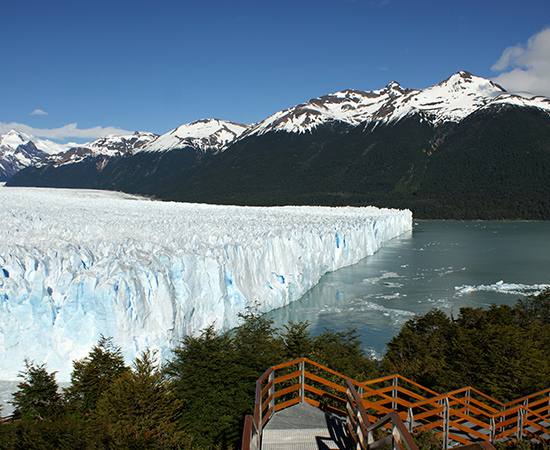 From there we will have a panoramic view of the Upsala Glacier. Then navigate Spegazzini Channel, where we observe the Seco Glacier to reach the front of Spegazzini Glacier, the highest in the National Park. Return to Private Puerto Punta Bandera will be at approximately 04:00 pm, by boat. The tour can be modified depending on weather conditions and safety and the decision of the captain of the boat.